The only picture of David Hasselhoff I hold the copyright to. ← British Empire Atrocities or Happy Fourth of July! Haha! It’s a bestseller waiting to happen!! bwahahahahaha – thanks, I needed that. Puts me in the mood for a limerick! looks like a fish. 😉 Always a laugh and a smile! If Nixon was still president, there’d be space war with the badgers but at least we’d have peace with honor. You’re comment almost makes me miss the humanity of Richard Nixon — wait . . was he human? Those damn horses got out AGAIN?!?! Yes . . . sigh . . . luckily I employ an on-call cowboy. 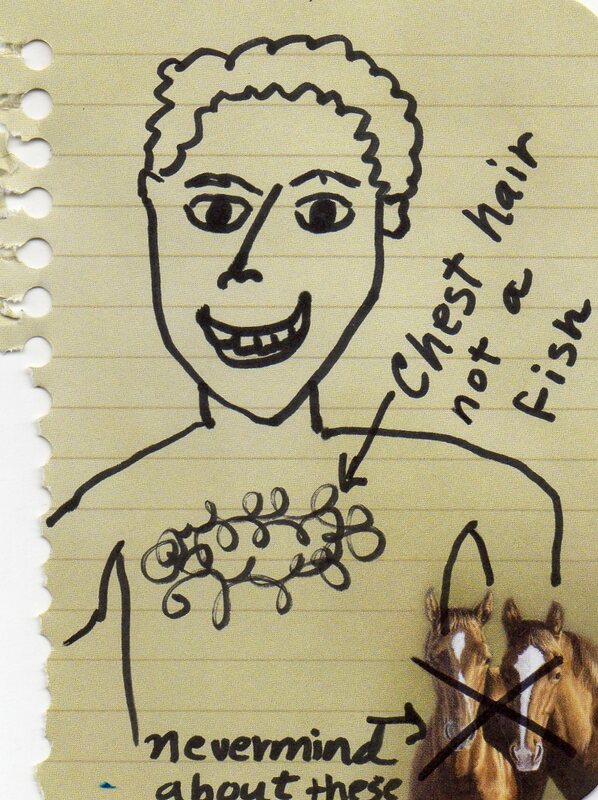 I would love to hear more about the Hasselhoff chest fish. Oh wiggy! Yes!! The perfect word!! Oh Linda, what would I do without your special brand of ( well I can’t decide which word to use!) This is fantastically fun! Oh Valerie, thank you! How sweet. Now I’m inspired to keep going with my special brand of ____! tahehehehe…you picked a heck of a topic! this is funny and cute! Oh you’re so sweet Chirstine! Thank you!! Rhyming Hasselhoff with Mazel tov is in poor taste. The spell check suggestion for Hasselhoff is Tallahassee. LOL! Which is exactly why I love robots! Hasselhoff is always a safe bet, in my opinion. Such a delightful piece. Thanks for linking up. Please remember to return for the voting! That’s very funny, but the rhyme is absolutely perfect!